I’m a mom of twin preschoolers and want to make sure that I teach them healthy eating habits at an early age. How I can do that and stay within a modest food budget? It’s wonderful that you want to establish healthy eating habits in your children starting when they are young. Research has shown that ensuring good nutritional habits, particularly early on, can help prevent childhood obesity and other chronic diseases. In addition to having a healthy weight, establishing healthy eating habits in children can help them have more energy and happier moods, and also can help them have those habits for the rest of their lives, experts say. One way to help instill better eating habits in your children is to take advantage of great programs out there like Simple Suppers. The new free nutrition program created by researchers at The Ohio State University teaches families how to establish healthy eating behaviors without having to spend a lot of money at the grocery store. The 10 lessons in the Simple Suppers program provide options that address both the benefits and constraints of healthy family mealtime routines. The program utilizes balanced meals with low-cost ingredients that are easily attainable by families and encourages children to be involved in food and meal preparation with their families, said Carolyn Gunther, an associate professor of human sciences and state specialist for Ohio State University Extension. While some of the program’s curriculum is available online, OSU Extension educators will soon begin offering in-person classes for families across Ohio, she said. OSU Extension is the outreach arm of the College of Food, Agricultural, and Environmental Sciences at Ohio State (CFAES). The program focuses on establishing healthy family mealtime routines for improved diet and weight status, Gunther said. The program is offered to the entire family, with each class directed to either children or adults. 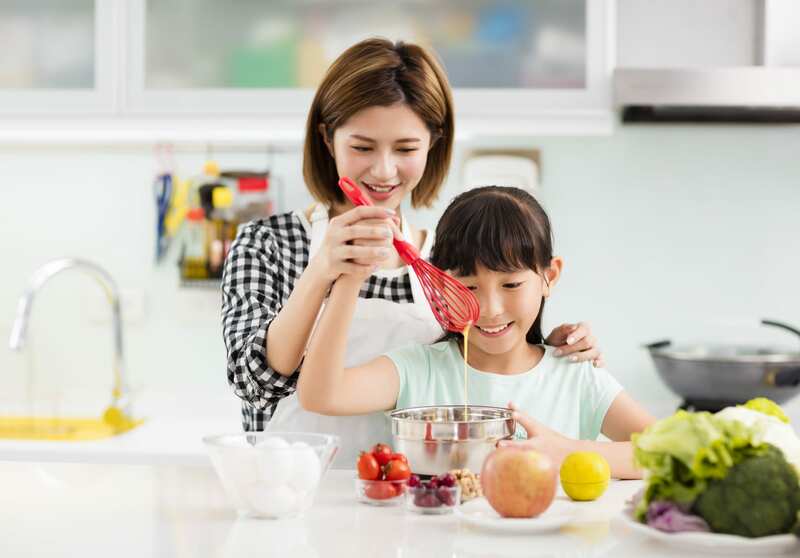 For example, during lesson one, “Making family mealtime fun,” children get to decorate an apron and learn how to set a dinner table, while parents have discussions on the benefits of family meals and get tips on how to make the meals both nutritious and fun. Posted in Diet and Nutrition, Food and Health, Saving Money	Bookmark the permalink.